Scarves, belts, and other dorm accessories can be extremely hard to store. You don't want to damage or wrinkle those fragile dorm items, but when you have a lot of each of those dorm essentials, it can get even harder to store them and you may decide to store them in your dorm dresser. After all, your dorm dresser is the largest area you have to store dorm items. However, picture yourself digging through your dorm dresser to find the perfect scarf or belt right before class. You're not going to be able to see or access all the dorm accessories you own when they are packed away in your dorm dresser. 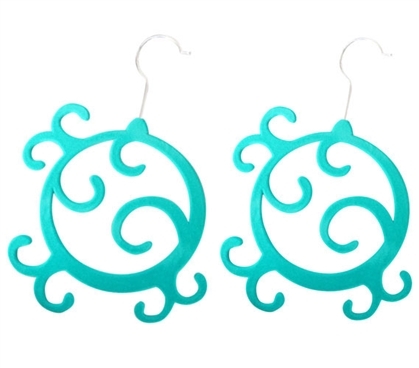 Keep your scarves and other dorm accessories organized with our 2 Pack Flocked Scarf Hanger with Enchanted Turquoise Design! 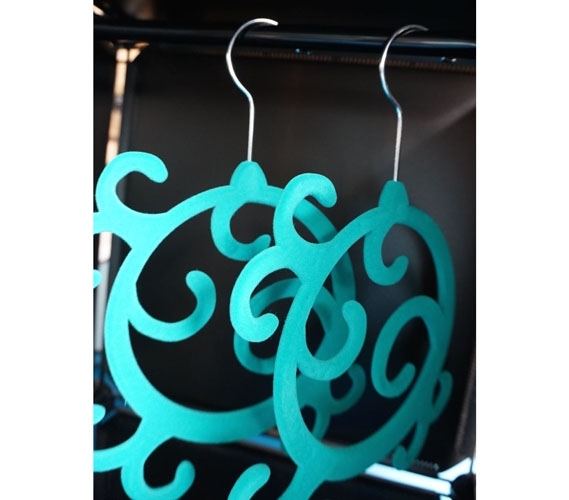 Our 2 Pack Flocked Scarf Hanger with Enchanted Turquoise Design comes with two dorm hangers so you can have plenty of dorm room storage space for your scarves and other fragile dorm essentials. Plus the design of these closet organizers means you can store plenty of dorm accessories without using a lot of dorm closet space. 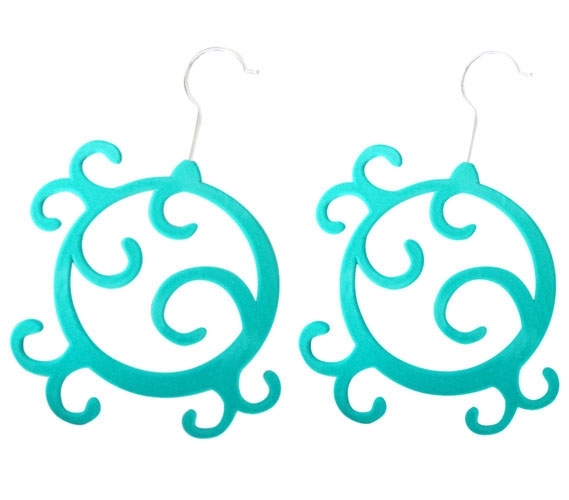 These dorm organizers have a cute swirled turquoise design to add to dorm room decor and add brightness to your closet. On each dorm hanger are plenty of loops that can hold scarves, belts, hand towels - anything that needs a little more organization. Keep your scarves and other fragile dorm accessories free from damage with our 2 Pack Flocked Scarf Hanger with Enchanted Turquoise Design!